The Coral Gables City Commission has a new plan for one of its city-owned garages near Miracle Mile. The commission voted on first reading on Tuesday to build a replacement for the Garage 1 at 245 Andalusia Avenue, giving itself three years to build a 750-space garage. 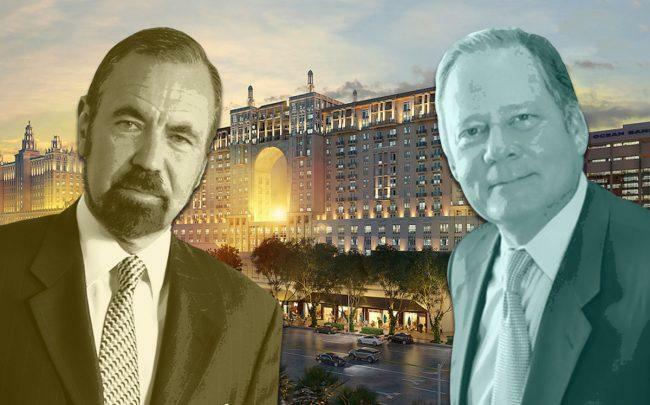 If, after three years, the city doesn’t develop the garage, the city would move forward with the previous proposal from Coral Gables City Center, a joint venture between the Allen Morris Company and the Related Group. If it does build the first garage, the Morris/Related team would have right of first refusal on a second garage site, Garage 4, at 345 Andalusia Avenue. The city has been trying to redevelop the aging structures for more than two decades. In January 2017, the Allen Morris/Related venture, the top bidder for the sites at 245 and 345 Andalusia Avenue, began negotiating with the city on the project. Coral Gables City Center planned to build a 750-space garage with ground floor retail and a 245-unit apartment building with ground floor retail on both sites. Morris said he was frustrated with the city’s vote “because they put me through six years of misery” but said a new garage built by the city would still be good for its residents. Bilzin Sumberg attorney Anthony De Yurre, who represents the Allen Morris and Related partnership, called Tuesday’s vote a win-win. “It’s a win for the residents because the city gets the bite at the apple they wanted to pay for the garage.… Alternatively, it’s a win-win, because, if they don’t, then we get to build it for them and the city saves $50 million in debt payments,” he said. The city will have to put out a new RFP for the design and build of the garage at 245 Andalusia Avenue.